The Geisel School of Medicine at Dartmouth, founded in 1797, strives to improve the lives of the communities it serves through excellence in learning, discovery, and healing. The nation’s fourth-oldest medical school, the Geisel School of Medicine has been home to many firsts in medical education, research, and practice, including the discovery of the mechanism for how light resets biological clocks, creating the first multispecialty intensive care unit, the first comprehensive examination of U.S. health-care variations (The Dartmouth Atlas), and helping establish the first Center for Health Care Delivery Science, which launched in 2010. 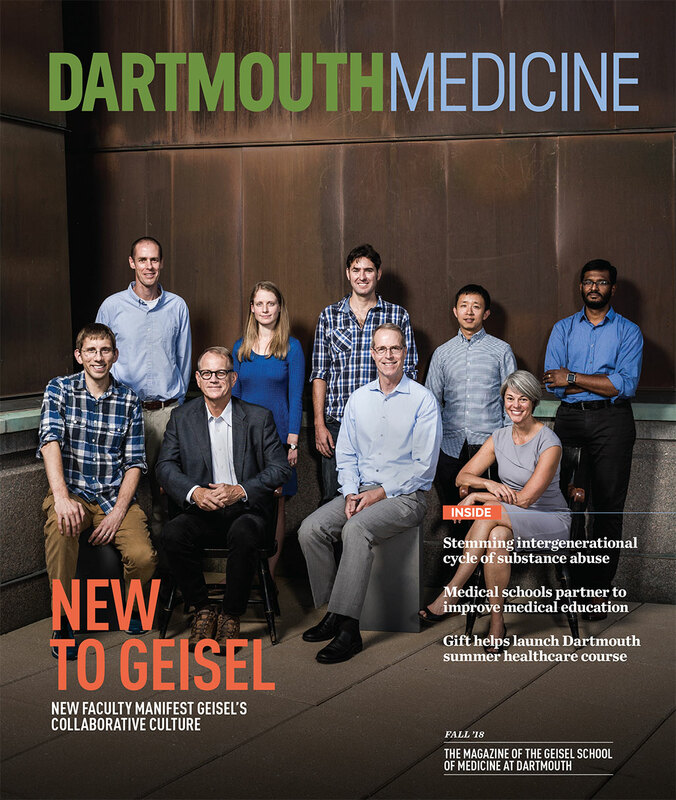 As one of America’s top medical schools, Dartmouth’s Geisel School of Medicine is committed to training new generations of diverse health care leaders who will help solve our most vexing challenges in health care. The Norris Cotton Cancer Center at Dartmouth-Hitchcock combines advanced cancer research at Dartmouth and the Geisel School of Medicine with patient-centered cancer care provided at Dartmouth-Hitchcock Medical Center, at Dartmouth-Hitchcock regional locations in Manchester, Nashua, and Keene, NH, and St. Johnsbury, VT, and at 12 partner hospitals throughout New Hampshire and Vermont. It is one of 41 centers nationwide to earn the National Cancer Institute's "Comprehensive Cancer Center" designation. Learn more about Norris Cotton Cancer Center research, programs, and clinical trials online at cancer.dartmouth.edu.